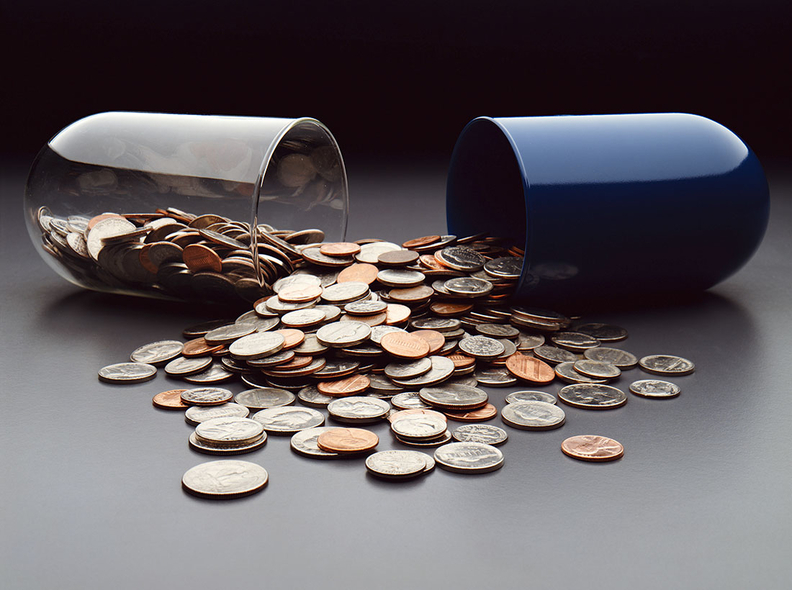 One in 12 U.S. doctors accepted payments from opioid manufacturers from 2013 to 2015, raising questions over how drug companies may influence prescribing practices. All in all, more than 68,000 physicians received more then $46 million between 2013 and 2015 in non-research payments from drugmakers that create pain-killing opioids or medciation-assisted opioid treatments like buprenorphine, according to a study published in the American Journal of Public Health on Wednesday. Although researchers found the doctors received an average payment of $15, the top 1% of physicians received 82% of all opioid drugmaker payments, or $38 million at an average of $2,600 per top physician. The analysis comes as state and federal officials have focused their attention on the opioid crisis and efforts to reduce overprescribing has made modest progress. "In the broader setting of a public health emergency, I think we have to ask ourselves the questions is it appropriate for tens of millions of dollars to be transferred to physicians for medications whose prescribing we're trying to reduce," said Dr. Scott Hadland, study co-author and an adolescent addiction medicine specialist at Boston Medical Center's Grayken Center for Addiction Medicine. Most of the payment funds, 63%, covered speaking fees while the most frequent payments went toward covering the cost of meals, which accounted for 93%. Even though most physicians didn't score much from opioid drugmakers, even those small payments or industry-sponsored meals can influence prescribing habits, research shows. "Physicians may not feel as though they are being influenced when a drug company provides them a meal or offers them an educational talk, but the data suggest that physicians who are exposed to this sort of marketing are more likely to prescribe these medications," Hadland said. Although opioid prescriptions fell by 18% between 2010 and 2015, it's still three times higher than the number of prescriptions written in 1999, according to the Centers for Disease Control and Prevention. Hadland and his fellow researchers found the amount of total payments increased by 11% between 2014 and 2015 from $18 million to $20 million. Also, the number of payments made to physicians rose by 26% during that time, from more than 145,000 to more than 184,000. Payments involving abuse-deterrent formulations of prescription opioid pain relievers comprised only 20% of money that went to physicians, which researchers suggested may mean that such medications may not be as heavily marketed to doctors as other opioids. Companies that make buprenorphine were involved in one-tenth of all payments made to physicians, some of which may have gone toward educating doctors about addiction treatment. But physicians could receive prescribing education from other sources, Hadland said. Physicians received $21 million in payments related to fentanyl, according to the study. Among medical specialties, anesthesiologists received the most annually at more than $11 million during the study period, followed by physical medicine and rehabilitation, and pain specialists. Payments to family medicine physicians made up about 7% of the total amount paid to doctors but they received the largest total number of payments at more than 20,000.